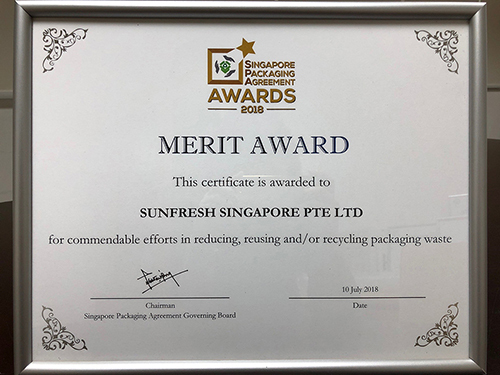 SUNFRESH is honoured to have received our 11th Singapore Packaging Agreement Awards. Since we signed the 1st agreement on 5th June 2007 World Environment Day, we are committed to reducing packaging waste to save the earth. SUNFRESH will continue to do our best for our environment.